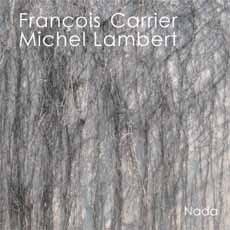 Francois Carrier/Michel Lambert - Nada ....Carrier (alto and soprano, Nepali flute, objects) and Lambert (drums, objects). When Carrier's on saxes, it reminds me very much of the Braxton/Roach duets from the late 70s, when on flute, the Cherry/Blackwell sessions. Either way, competently and agreeably played, but nothing not heard before. 20 shortish tracks, not so differentiated. OK of its type. 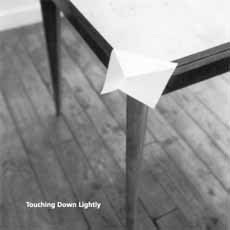 Sylvain Chauveau - Touching Down Lightly....Lightly indeed. Lovely solo piano piece, somewhat out of Feldman but not so much as to be distracting. Soft throughout, notes allowed to hang, occasional gentle repetitions, notes spiced with just enough sourness to avoid any overly sugary content. Echoes of Tilbury as well. Very enjoyable recording. Perhaps close to what one would expect: scratchy, thin drones punctuated by the rubbing of friction-filled surfaces, much air and space. It is all that, but also injects a kind of mystery--maybe it's the deep tolling that occasionally rises from the cello or a bit more emotive summoning from Rives. So, familiar yes, but fine integration of sounds and well paced, with verdant hills and valleys as well as the odd cwm. 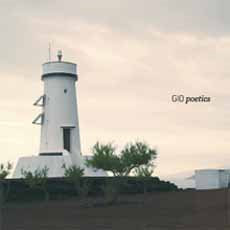 ...Glasgow Improvisers Orchestra (GIO) - Poetics...A 20-member ensemble, aside from the Rodrigues' (who, I take it, are guesting here) all names unfamiliar to me. Save for an electric guitar, all instruments are acoustic and include bazouki and shakuhachi in addition to standard axes. Muddy, meandering, little sense of space, sounding very much like any GUO-inspired large band you'd care to name, Aileen Campbell's voice sometimes evoking Centipede. Uninteresting, overall. 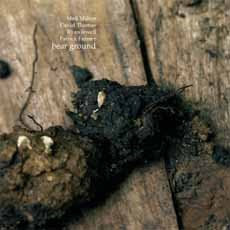 ...Daniel Meyer Grønvold/Håvard Volden - s/t...Guitar/electronics duo (each on both). Brief disc, two tracks about 5 and 24 minutes, the first a really attractive set of hum and scrabble, perfectly balanced. The longer track might meander a bit more as it seeks to incorporate more elements, including pure and rich guitar strumming, but its structure essentially grips and things feel right at the end. Good recording, well worth hearing, especially for fans of Ielasi, Guerra, etc. ...João Lucas - Abstract Mechanics...Lucas (piano, accordion, electronics) and Miguel Mira (cell0) accompany Andresa Soares's improvised dance. Though prickly, the music has an underlying romanticism that forms a kind of connective tissue between the jumpy piano, the skittering cello and electronics/field recordings. Oddly unique sounding, though; can't quite come up with a reasonable comparison; sometimes Muhal at his warmest. Or a spikier Blue 'Gene' Tyranny. Hell, there's a section that reminds me of "1983....(A Merman I Should Turn to Be)". I gradually got into this a good bit, but it's a curveball to be sure. Proceed with caution. 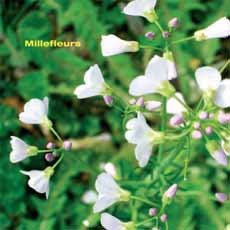 ...Millefleurs - Millefleurs...An all voice twelvetet (dodecatet?) out of Switzerland if I'm not mistaken, though the entire dozen never appears, no more than six at a time, I think. Small sounds, but all those we've heard hundreds of times before, smooches and clicks and yips, etc. Soft choral singing now and then, as on "passiflora incarnata", which is pleasant, if not bracing. Admittedly, free(ish) singing isn't my strong suit, but nothing here captured my attention at all. ....Matt Milton/David Thomas/Ryan Jewell/Patrick Farmer - Bear Ground...Violin/Viola/Snare drum and Drum, respectively, plus objects, breath, bamboo...Excellent soft, scratchy improv with tinges of melodicism. The second of three tracks loses its way somewhat, but the other two are models of imaginative concision within a fairly narrow sonic palette. A lot of "sliding" sounds, of objects being stroked across surfaces, very lovely. Good stuff! 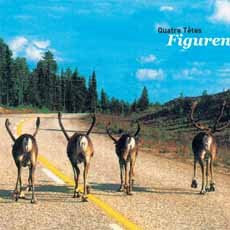 ..Quatre Têtes - Figuren...An unusual grouping of four heads: Susann Wehrli (flutes, melodica), Priska Waiss (trombone, alphorn), Gabriela Friedli (piano) and Claudia Ulla Binder (piano). Hard not to get a sense of Swiss rolling hills here (well, there is an alphorn), the fairly gentle undulations provided by the dual pianos and the round sounds of flutes and low horns. Generally pleasant enough, though with several missteps ("Penelope") where things wander off-track and stay there. Too slack structurally and a mite too busy for my taste, but fans of things that appear on Intakt might enjoy it. 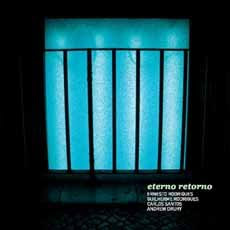 ...Ernesto Rodrigues/Guilherme Rodrigues/Carlos Santos/Andrew Drury - Eterno Retorno...Viola/cello/electronics/percussion, respectively. At its best, a churning, scratchy mass, like being in some kind of hay-vortex. The density level varies, gradually thinning out, but the quality remains consistent, the instruments achieving a fine cohesion, the activity maybe a tad busier than my eai-self is comfortable with, but always moving forward. 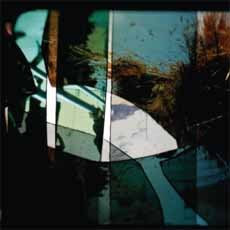 Nice improv record, about halfway between eai and efi, which would make it about ec/di. 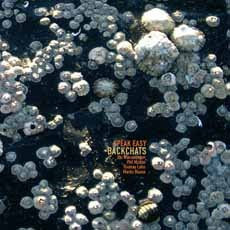 ...Speak Easy - Backchats...Thomas Lehn (analog synth), Ute Wassermann (voice, whistles), Phil Minton (voice), Martin Blume (drums, percussion). I think there was less doubt in my head about how this was going to sound than any of the fourteen. Much sputtering and gurgling. And that's just the drums. Thank you, I'm here all week. I like Lehn and I carry a soft spot for Minton, but I just don't have the patience for all this chatter. Again, for listeners who've enjoyed similar work from these folk in the past or from the likes of David Moss, this will be right up their alley. 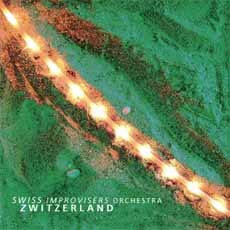 ...Swiss Improvisers Orchestra - Zwitzerland...A nonet, in fact, horns, strings, piano, drums. The horns are rather loose and rolling, the rhythm section jumpy and angular, the pieces lurching along on the scant fuel of timbral color in what has long since become a standard sequence of marches, free squawls, quasi-bop, etc. Capably played, not very interesting. 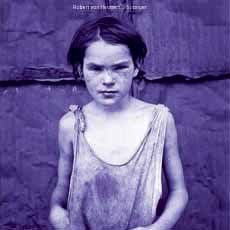 ...Robert Van Heuman - Stranger...Well, I liked the cover going in and the music didn't disappoint. Entirely new to me, von Heuman serves up strong electro-acoustic music out of the Raaijmakers and Koenig tradition (he's managing director at STEIM). I'm not normally taken with many of the sounds that emanate from ARPs and Korgs but von Heuman wrings out fresh juices from them here. Oh, it get loopy and blippy now and then, but still sounds ok. Two long tracks bracket a series of eight short ones, the latter a soundtrack for the radioplay "No Man's Land", a portrait of Dust Bowl Oklahoma, an interesting dislocation. Strong work, happy to have "found" Mr. van Heuman. 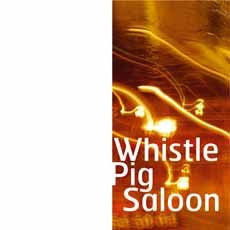 ...Whistle Pig Saloon - s/t...Van Heuman is also half of this duo, along with guitarist John Ferguson. Equal parts STEIM-y electro-acousticism and raunchy guitar noise, the latter sometimes reminding me of Kaiser in his Synclavier period. Itchier than 'Stranger', it might find more favor among post-Zorn enthusiasts. Some good work (the piece "Hogg blog" stood out for me), but a bit too much in that hyperactive sprawl zone for my taste. Not a bad batting average, actually. Very nice collection of small reviews. Yes, thanks, Brian. Your mini-reviews are a great pre-filter for taking in Creative Sources' output. 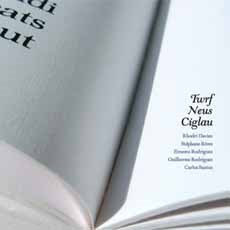 I've heard 'Twrf Neus Ciglau', and love it, as well as 'Bear Ground'. But Sylvain Chaveau and Jao Lucas are new names to me, so I wouldn't have known to give them a try, which I certainly will now. One of the things I really like about Creative Sources is that they issue 'curveballs' like these. Sure, some of them are not to my taste at all, but there's something great about coming across something new and unexpected. Most improv labels (mine included) tend to reflect the taste of their owners quite narrowly, whereas CS is much wider than this. I don't know what criteria Ernesto Rodrigues uses to accept or reject proposals, and the label is much criticised for the way it is set up, but it's refreshing to have somewhere where you can be genuinely surprised as a listener.